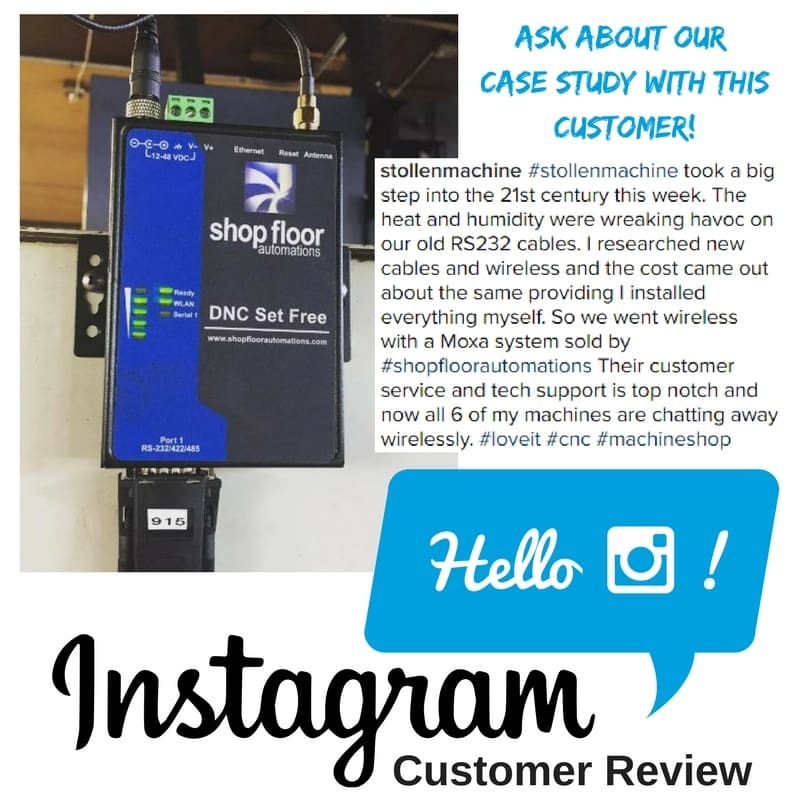 The most popular and advanced LAN-Based DNC system available, now through wireless technology! 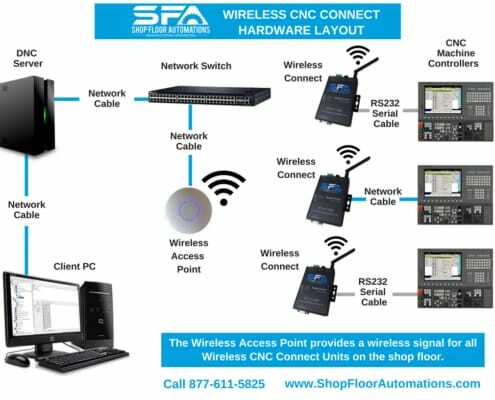 Shop Floor Automations presents the Wireless CNC Connect. No need for custom RS232 cables. 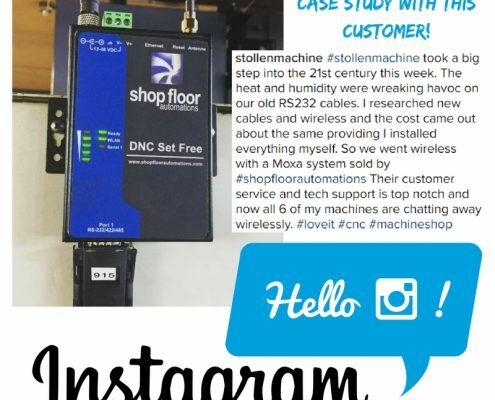 No worrying if your insurance covers employees or contractors running cable in dangerous spots of your shop floor. No more second-guessing if a caustic environment will eat through your cables. Move around machines effortlessly without losing data! 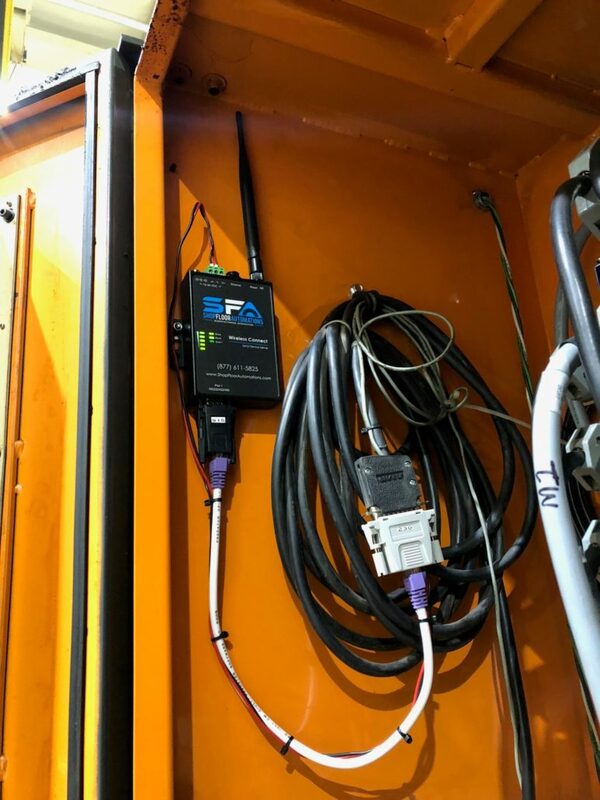 The Wireless CNC Connect comes with an IP address assigned to it and they are then put onto your network. Supported under Windows versions: 7, 8, 8.1, 10, Server 2008 R2, 2000, 2012, 2012 R2, XP, Vista, & Server 2003/2008. Costs of stringing cable will vanish. 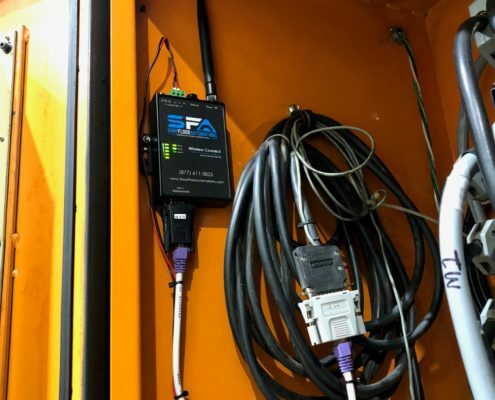 Machines with overhead cranes, traveling gantries, or those simply too far to cable are efficiently & reliably networked. 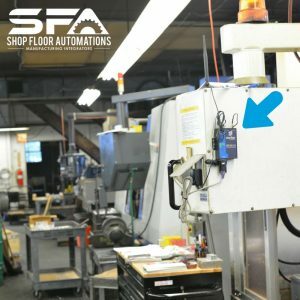 Want to move your CNC machines? No need to change cables or reconfigure software. 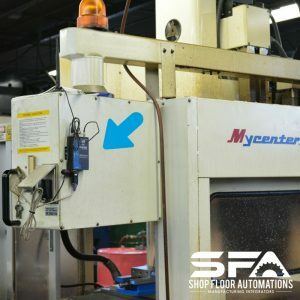 Best of all, nearly any CNC machine can be connected using wireless! 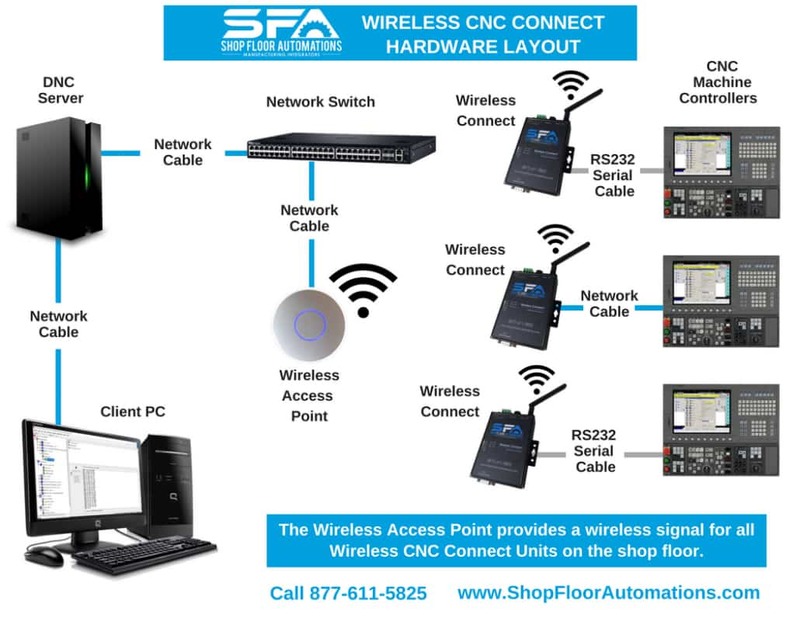 Any PC with a WiFi compliant network card on this wireless network can be configured to access the wider PC network.